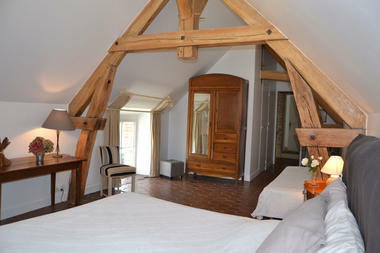 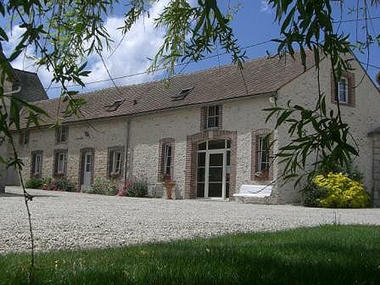 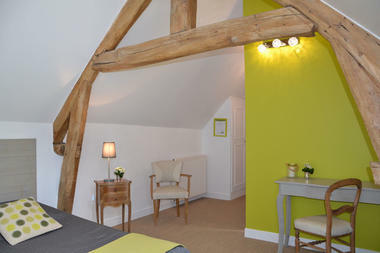 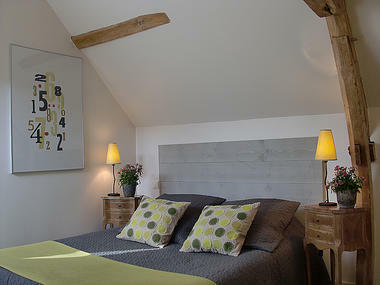 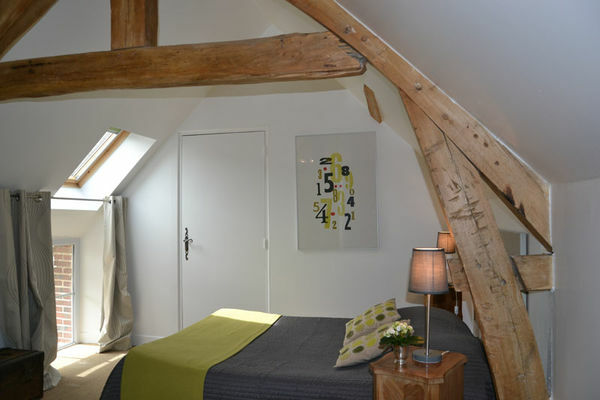 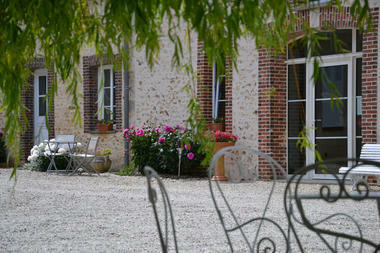 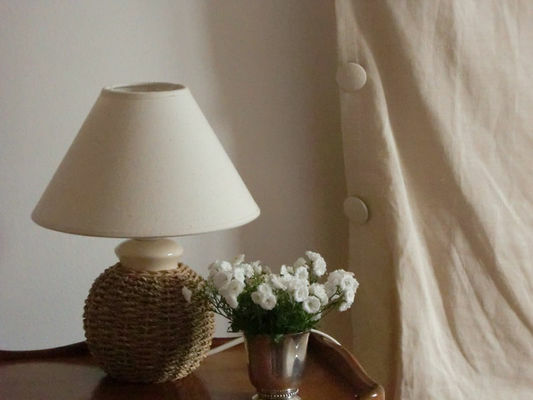 A self-contained house on a 19th-century Beauce farm of character, comprising 4 themed bedrooms with a refined décor. 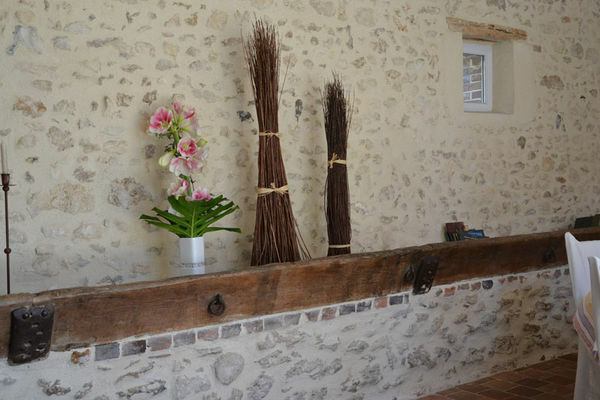 Home-made pastries and local history. 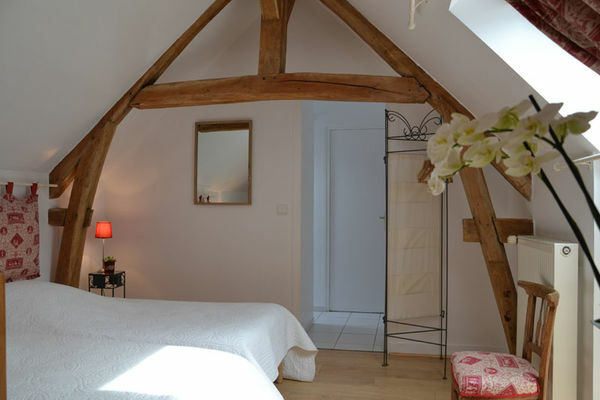 On the ground floor, the "Pivoine" bedroom is composed of two rooms, one with a double bed (140cm)and the other with a kitchen area and sofa bed, separate bathroom and WC. 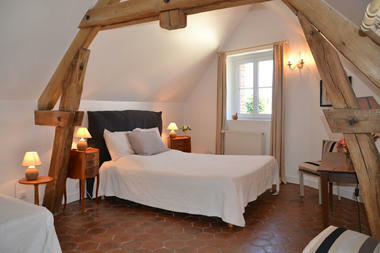 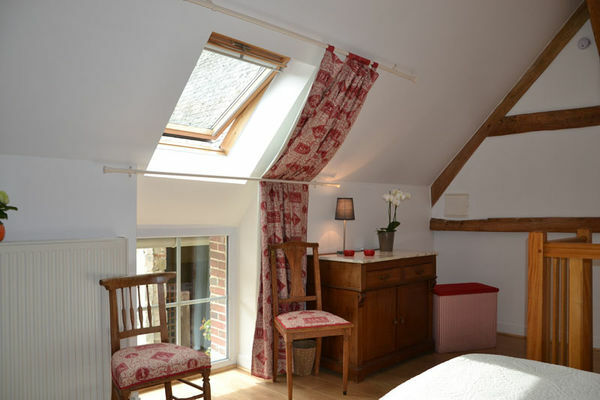 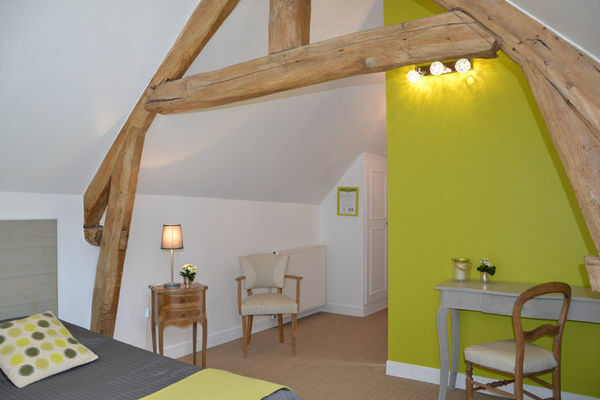 The other bedrooms are upstairs, including "Cannelle" with a double bed of 160cm and a single bed, bathroom and WC. The "Tilleul" bedroom has 1 double bed of 140cm, separate bathroom and WC. 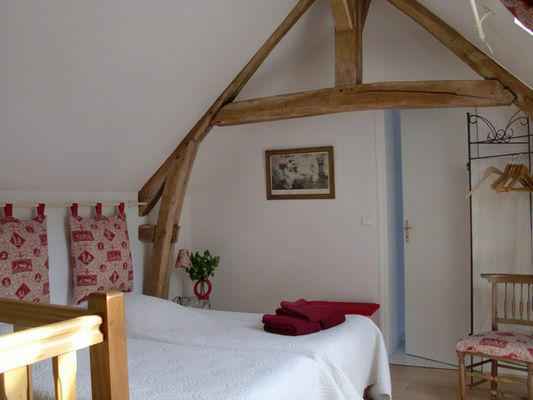 The "Framboise" bedroom has 2 single beds, a bathroom and WC. 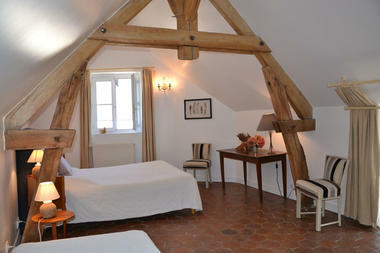 These last two rooms can be joined. Guests can enjoy breakfast in the cozy atmosphere of an old stable that offers both authenticity and comfort. 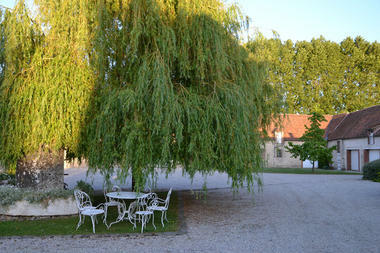 Garden specialities can be tasted according to the season.